‘Better Call Saul‘ will reveal Saul Goodman’s life before Walter White and Jesse Pinkman entered the picture and is set to debut on AMC in November. 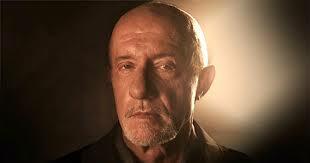 Banks was a regular on Breaking Bad after being introduced as Mike Ehrmantraut in the series’ second season finale. Mike was a former Philadelphia police officer, he worked as the Head of Corporate Security at Los Pollos Hermano and enforcer in Gustavo Fring’s crystal meth operation. 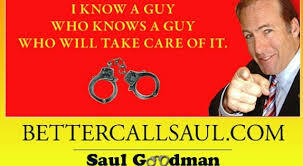 His dealings got him involved with Walt and Jesse, played by Bryan Cranston and Aaron Paul, respectively. His character went out with a bang with Walt shooting him in the first half of Season 5’s finale. Banks’ performance for that portion of season 5 earned him an emmy nomination. So far, Odenkirk and Banks are the only actors officially attached to the spinoff. The other characters that could be cast are rumored to contain most of the cast from ‘Breaking Bad‘. Paul and Cranston have both stated publicly they would like to be part of the new series. Being a fan of ‘Breaking Bad‘, I can’t wait for this new series. Seeing who will fill out the cast feels as exciting as premiere night is going to be. There is such a wide array of story lines and character options that come with the ‘Breaking Bad’ universe. I can’t wait to see where they go. This entry was posted on Tuesday, January 28th, 2014 at 3:38 pm	and is filed under News, Television. You can follow any responses to this entry through the RSS 2.0 feed. You can skip to the end and leave a response. Pinging is currently not allowed. « Elizabeth Banks sets Her Directorial Debut With….